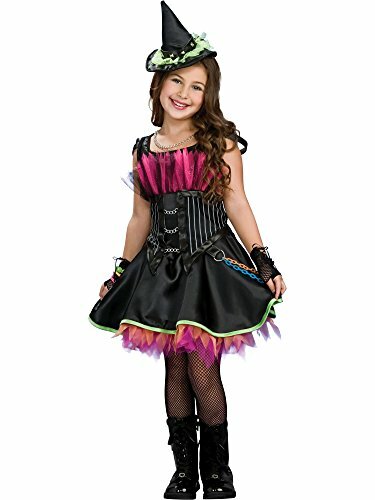 Costume set includes a dress with chain accents and small studded witch hat. Our Rockin' Out Witch comes in child sizes Small, Medium, Large. The boots, fishnet pantyhose and fingerless gloves are not included in the set. Please note: This item's color may vary due to inherent manufacturing variations or your computer monitor's color settings. The item you receive will be identical or substantially similar to the item pictured in this listing. Four Siblings bring a bit of rock and grove in this 2006 debut Halloween Video.